The Chandeleur Islands spread over 40 miles of the Gulf of Mexico, its just 35 miles south of Biloxi were we anchor the Due South III on the lee side of the Chandeleur island in a sheltered channel isolated from the rest of the Gulf. 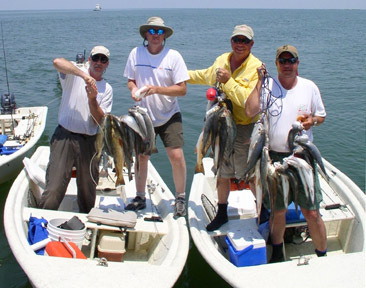 At the Chandeleur Islands large schools of redfish and speckled trout swim along the uninhabited shell beaches and in the shallow grass flats that promise outstanding catches. On the Gulf side of the Chandeleur islands surf fishing is unparalleled. 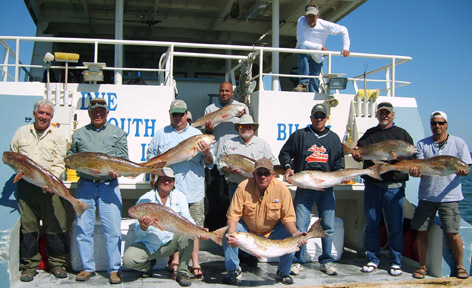 Due South Charters has several fishing packages available to serve you. We offer trip to the Chandeleur islands from 2 days to 3 1/2 day multiday inshore overnight trips for up to twelve passengers. Fish the plentiful waters of the Chandeleur Islands on board the Due South III. 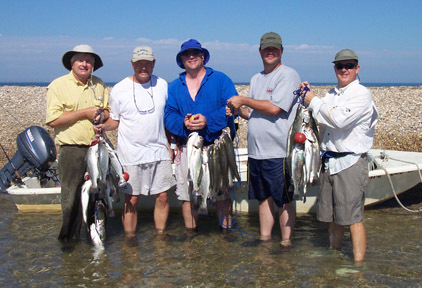 Our well trained staff will provide you with everything you need to make your fishing trip to the Chandeleur Islands a fishing experience of a lifetime.